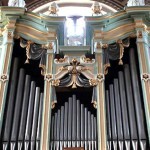 Mascioni have restored over 130 historic organs over the last 40 years. Each one was a new experience and a learning process in itself. An opportunity, too, for craftsmen to work hand in hand with researchers, historians and archivists. 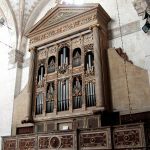 Restorations include the “Antegnati” (1554) of S.Maurizio Monastery in Milan, the “Facchetti” (1545) in S.Sisto church in Piacenza, the “Serassi” of Pisa Cathedral (1832, 2 manuals, 58 stops) and Parma Cathedral (1767, 2 manuals, 44 stops). 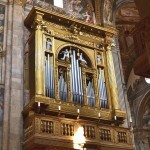 Some notable reconstructions and restorations are the Antegnati-Bossi (2 manuals, 45 stops) in the Collegiata of Bellinzona (Switzerland), the Donato Del Piano (1780, 5 manuals) at S. Nicolò La Rena in Catania, and the grand organ of the Cathedral of Notre Dame des Doms, Avignon (France). 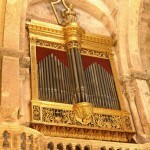 The organ of this important monastery is a historic reconstruction of the original 1554 Gian Giacomo Antegnati organ, of which a notable percentage of the original pipes still survives. 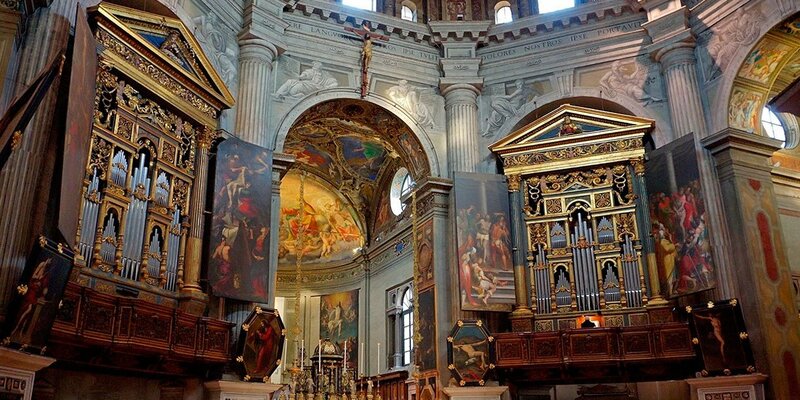 This very large and important Basilica, second in size only to Milan Cathedral, was built in 1485. The name of this Cathedral is derived from Latin and means “Bishop’s house”. 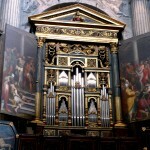 Here, a beautiful organ called “Orgue Dorè”, was restored by our Company. 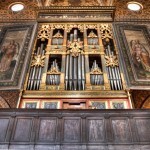 Once again Antegnati built a superb instrument in this church in Switzerland. We are proud to have been chosen to carry out its restoration. A basilica has probably existed on this site as early as the sixth century, but it was later abandoned. Another church had been consecrated in the rear part of the preceding one in the 9th century by the count-bishop Guibodo. The construction was begun in 1059 by bishop Cadalo, later antipope with the name of Honorius II, and was consecrated by Paschal II in 1106. A Mascioni 1910 instrument, along with the winding and 8 soundboards, the action has been totally rebuilt, re-tubed and returned to its original layout, including a new pneumatic console with free combinations like those of the time. 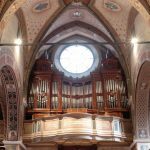 First built in 1536 by Giacomo Antegnati then integrated by Serassi in 1826 this important organ is now being completely restored during 2017-2018. Stay tuned.